New Paltz NY is known for many different things. 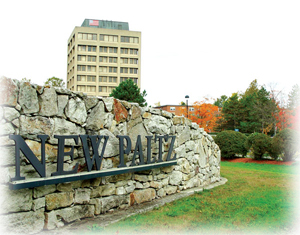 There is SUNY New Paltz, which was named the best small state college. Mohonk Mountain House is also in New Paltz, and is a favorite with New Yorkers and people looking for a rustic getaway. The village and greater New Paltz area is home to many wonderful restaurants, art galleries, the Ulster County Fair and much more. New Paltz is a fantastic gem in the Ulster County crown. It has natural beauty, entertainment, hiking, biking and much historical value! So come and enjoy all that New Paltz has to offer from education to fun! There is plenty of diversity in New Paltz, NY real estate market. You'll find luxurious new construction homes and sprawling mansions just blocks from late-20th-century Colonial houses, charming ranch-style homes on generously sized lots, and historic cottages. The tree-lined residential streets are safe, private, and ideal to raise a family. There's also a small selection on condos for sale in New Paltz, ideal for downsizers or young couples. New Paltz homes for sale are as affordable as they are attractive. Condos and smaller single-family homes can be purchased for less than $200,000, while family-friendly houses with upwards of three bedrooms and bathrooms and at least 1,500 square feet can still be bought for not much more than $300,000. Even the newly built houses towards the upper end of the New Paltz real estate market aren't much more than $600,000. At the very high end of the market is where you'll find the massive luxury homes for over $1,000,000. As mentioned above, there are many different types of lifestyles that one can lead in New Paltz. There's the life of those who either work or study at the State University of New York at New Paltz. Many residents also love the nearby natural amenities such as the Mohonk Preserve and Minnewaska State Park. If you're a wine connoisseur or just enjoy the occasional visit to a state winery, you can sample the latest releases from Robibero Family Vineyards while enjoy the scenic views from the 42-acre property just outside of the town. Meanwhile, those who appreciate historic architecture will have no shortage of buildings to marvel at throughout New Paltz. There are many things to do if you decide to live in New Paltz, from outdoor recreation to wining and dining to enjoying the various festivals throughout the year. This is truly a town for those of all ages and interests. 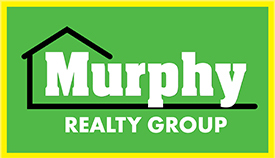 If you think you'd like to view one of the New Paltz homes for sale, get in touch with Murphy Realty Group today.